Target Audience: The NPQH is aimed at early years, primary, special and secondary colleagues who are, or are aspiring to become a headteacher with responsibility for leading across the school. NPQ@teachingschools is a unique partnership of teaching school alliances in the wider Bristol area with a strong track record of delivering exceptional professional development. As a designated DfE licenced provider, the Bristol Primary Teaching School Alliance has worked with our partner teaching schools to create and deliver a new and innovative senior leadership programme designed by experienced, current school leaders in order to develop the potential of the talented and motivated school leaders across our region. Who is it aimed at? Accredited by the Department for Education, this nationally recognised programme is aimed at early years, primary, special and secondary colleagues who are, or are aspiring to become a headteacher with responsibility for leading across a school. 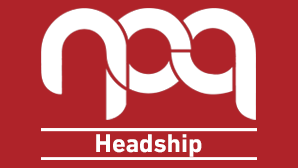 Applicants should be members of a school senior leadership team, deputy headteacher, assistant head teacher, or other relevant senior staff able to demonstrate aspects of headship through the assessment gateway. OR a 10% reduction to full course fees will be applied to the second and subsequent applicants if more than one person from your school makes an application to participate in the same cohort of NPQH In 2018-19 full course fees were reimbursed by the DfE for participants meeting the following requirements: this funding is not expected to be in place for autumn 2019 cohorts. It is strongly recommended that you read the application guidance before completing and submitting your application. Please note: Your application will be moderated to assess your current suitability for the programme. You will be notified of the outcomes of your application approximately 2 weeks after the closure of the application window.